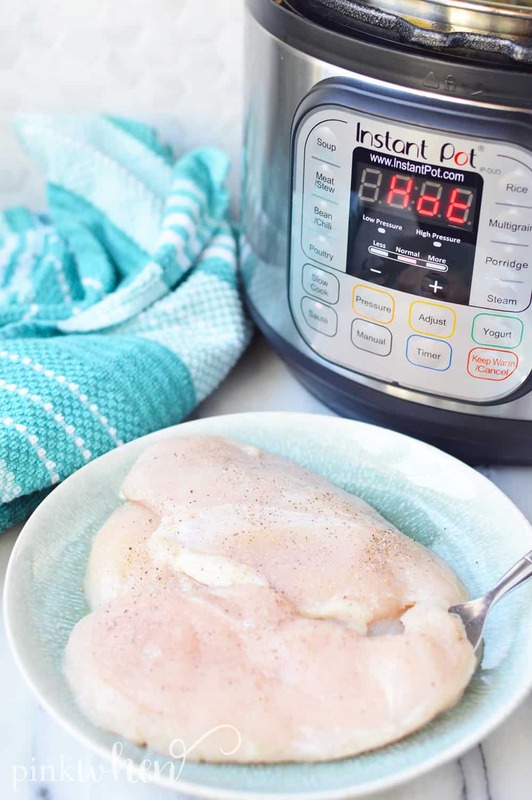 This easy Instant Pot chicken recipe is one of my favorite staples as it makes dinner SO EASY! The best part is this pressure cooker chicken can easily be made ahead of time in your Instant Pot. It’s juicy and delicious – perfect for all kinds of recipes! 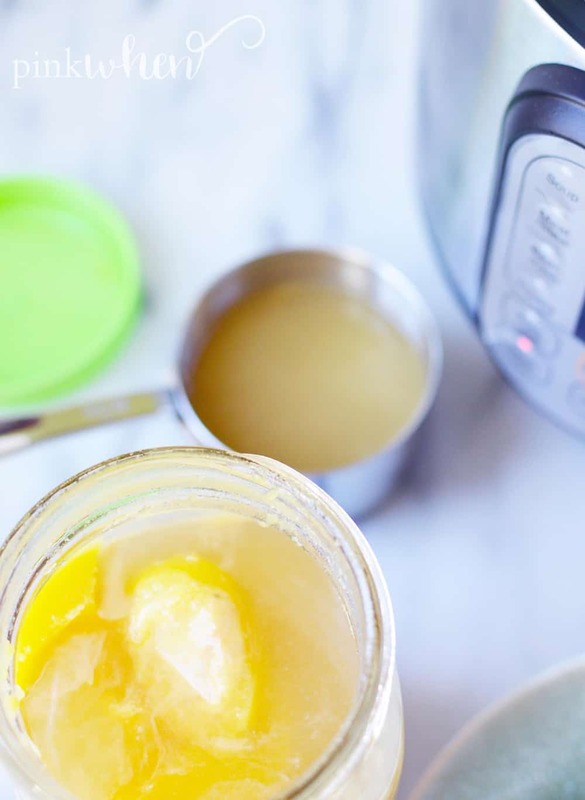 Before we get to the method, make sure you are following me on Pinterest for more delicious recipes. If you’re on Facebook, join our recipes and meal planning group! 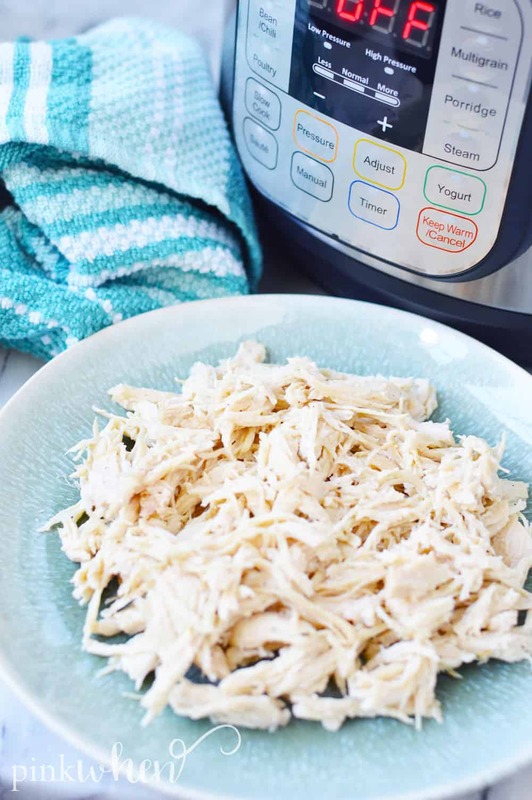 If you haven’t quite mastered the Instant Pot chicken, you’re going to want to try this easy shredded chicken recipe. It’s perfect many different dinner ideas, and the instant Pot makes it SO EASY. I love how juicy and delicious this comes out. It’s a quick and easy chicken recipe that I refer to quite often. 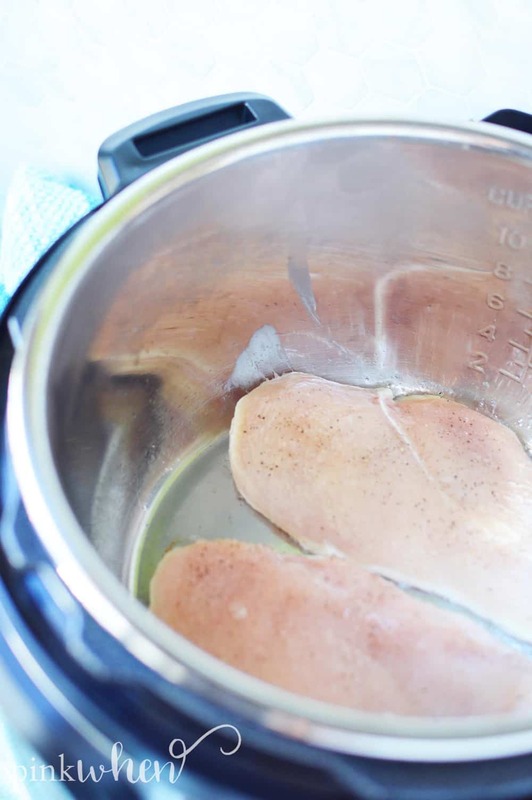 how do you cook chicken breast in a pressure cooker? 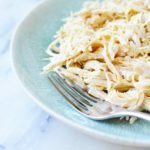 I am obsessed with my Instant Pot, and I love that I can make shredded chicken easily. Shredded chicken is perfect for all kinds of meal and dinner ideas. The less time I can spend over my hot stove, the better. If you have never tried making pressure cooker chicken – you absolutely MUST. I’m not sure if I could live without my Instant Pot anymore. It makes time in the kitchen quick and easy. 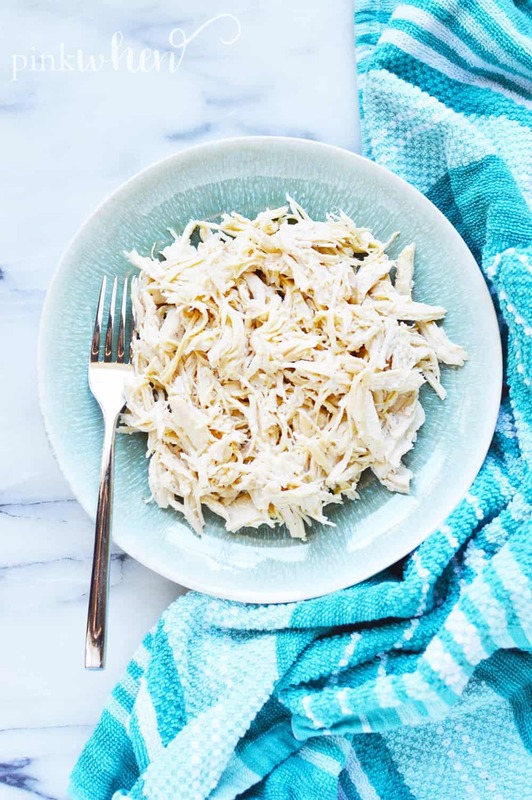 This Instant Pot shredded chicken recipe is as easy as throwing in ingredients and setting your instant pot to cook. As I’ve said previously, an instant Pot is a MUST HAVE for quick dinners. Once you get the hang of it, you’ll wonder how you went so long without one. Just scroll down below for the full recipe to see how easy it is to make Instant Pot Chicken. Make sure you heat the Instant Pot in saute mode before doing anything else. This is the first step. Place chicken, oil, and seasonings in the Instant Pot. 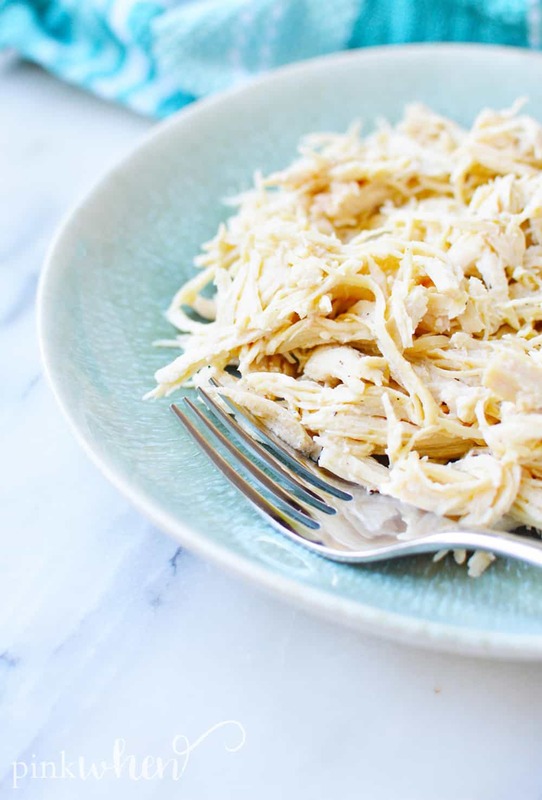 How do you make shredded chicken in a pressure cooker? While you can use a fork to pull it apart, I love using a hand mixer to shred my chicken. It’s so much easier. If you’ve never tried doing this before, it’s a must. It’s such a game changer when it comes to making shredded chicken. I know you’re patiently waiting to get to the recipe so I won’t keep you much longer. This pressure cooker chicken will become a staple in your kitchen as it has in ours. Leave a comment below and let me know how you easy this Instant Pot Chicken was to make. It makes the perfect chicken for shredding. We love your feedback, as it helps us decide what to create next. If you want to see more recipes like this, make sure to RATE this recipe! Don’t forget to join our Facebook Group for even more recipes and meal planning ideas. This easy Instant Pot chicken recipe is one of my favorite staples as it makes dinner SO EASY. The best part is this pressure cooker chicken can easily be made ahead of time in your Instant Pot! It's juicy and delicious, perfect for all kinds of recipes! Heat the bottom of the instant pot using sauté mode. Once it has heated up, add the oil and seasonings before placing the chicken into the oil in a single layer. Brown each side for 1-2 minutes to create a rich flavor and then cancel the sauté mode. Pour in the stock or broth and deglaze the bottom of the pan. Slide the chicken over to scape up any little browned bits on the pot as this is flavor you want. Return the chicken to a single layer. Twist on the locking lid and ensure the steam valve is set to sealing. Then, select the manual setting to cook for 4 minutes. Be sure to adjust your cooking time depending on the size and thickness of your breasts. When the chicken has finished cooking, allow it to natural pressure release for 10 minutes. When the time is up, carefully release any remaining pressure and remove the lid. Remove your chicken from the instant pot and shred the chicken using forks or a hand mixer. The leftover liquid from cooking can be saved for future recipes if used within 3-4 days. Enjoy! You can find more easy Instant Pot recipes here. 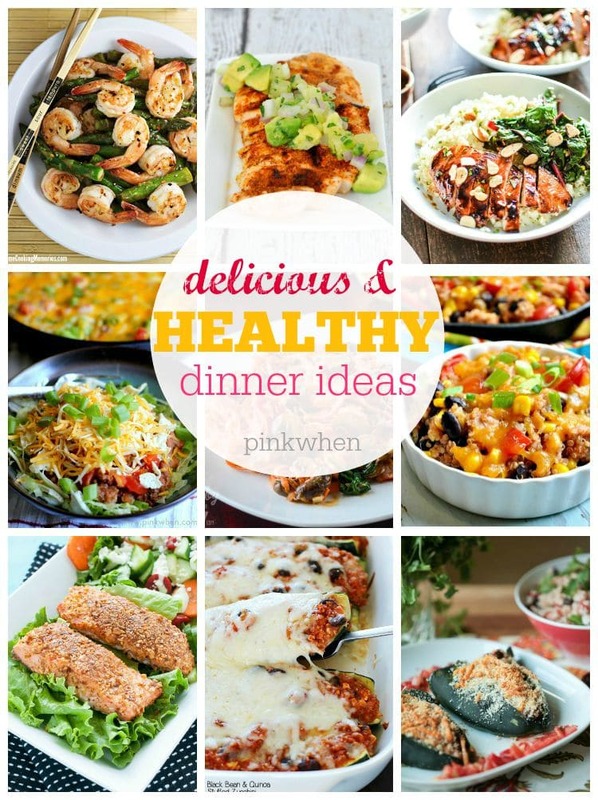 If you loved this easy shredded chicken recipe, you’d like these other healthy dinner ideas! 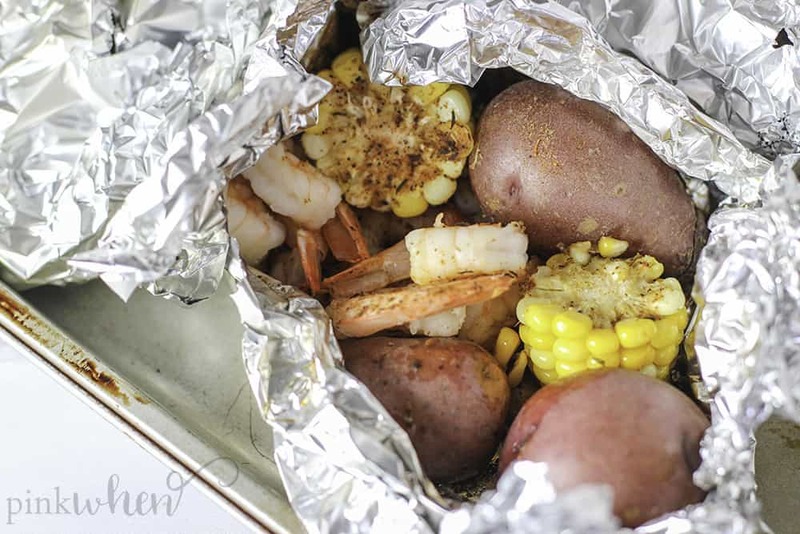 Or how about these delicious grilled shrimp foil packets?